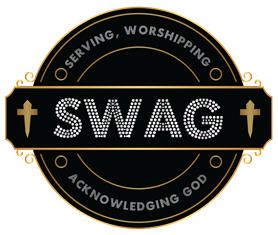 The diverse Team at the SWAG Box are dedicated Christians with a purpose to assist you with moving forward in your relationship with Christ. We don't have all the answers, but we rely on and ask Christ for his guidance and learn from him each and every day because he is the One Who has all the answers! So it doesn't matter if you are just starting your walk with Christ or have been running with him for a while. We sincerely want to make you feel special and loved by God by sharing his word and Christian inspired gifts with you, each and every month. We are not perfect, we all sin and are like children who falls down and disappoints God at times. But it's our desire to grow closer to the Lord, day by day, minute by minute. Therefore, we all need to be encouraged, corrected and comforted and if you think you do as well-SWAG Box is here for you! How the SWAG Box Works! With excitement await your delivery the first week of each month.